Colorado is generally not the state one thinks of when the subject of hot areas in biopharma comes up. Boston, yes; San Francisco Bay Area, sure. But Colorado? But a recent report by professional services and investment management firm JLL found that Colorado—specifically the Denver and Boulder areas—are a rapidly growing area for biopharma. In fact, the JLL Life Sciences Report ranked the Denver/Boulder biotech market as #13 in the country based on life sciences employment, employment growth, venture capital funding, National Institutes of Health funding and several other criteria. 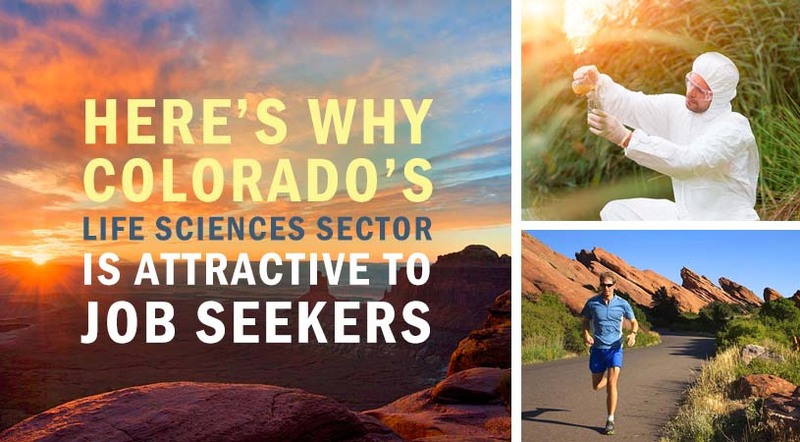 BioSpace takes a look at the burgeoning Colorado life sciences scene. Despite that, there is some building and incubator-type locations. One is the Fitzsimons Innovation Campus in Aurora, a suburb of Denver. The 184-acre campus has advanced, state-of-the art research and lab facilities and is home to a 60,000-square-foot bioscience incubator and an additional 30,000 square feet of Accelerator space. The incubator space has 15 pre-build labs, 21 executive office suits and a number of shared services and amenities. It is affiliated with the University of Colorado and is adjacent to the Anschutz Medical Campus. The JLL report also indicates that another healthcare technology campus called “Stride” is being built in the River North neighborhood of Denver. The state also has one of only 13 “Select Agent” biocontainment facilities in the U.S. The Rocky Mountain Regional Biocontainment Laboratory (RMRBL) is located in the Judson Harper Research Complex on the Colorado State University Foothills Campus. In addition to CSU researchers, it provides space to the Health and Human Services Region VII, which encompasses Colorado, Utah, Montana, Wyoming, North Dakota and South Dakota. There is also a Biosafety Level 3 Laboratory at CSU, which is part of the CDC Laboratory Response Network and the USDA National Animal Health Laboratory Network that is part of the Fort Collins Veterinary Diagnostic Laboratory. And in April 2015, the Gates Biomanufacturing Facility opened on the U of C Anschutz Medical Campus. The facility serves academic, clinical and commercial researchers, both Colorado-based and nationwide that want to translate their discoveries into clinical-grade products that can be used for human investigations. It is a 14,000-square-foot Good Manufacturing Practice (GMP) facility located in the Bioscience Park Center, part of the Fitzimons Innovation Campus. 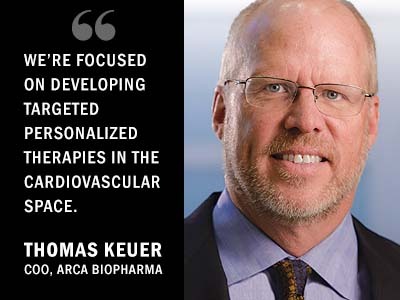 ARCA Biopharma is located in Brookfield, halfway between Denver and Boulder. It was founded in 2004 by Michael Bristow, who is currently president and chief executive officer. 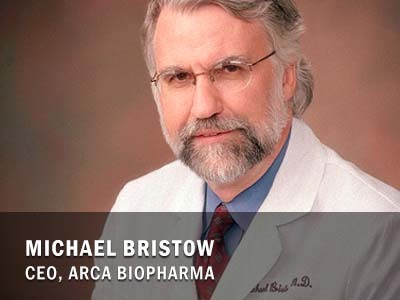 Bristow is a professor of Medicine and former Head of Cardiology at the University of Colorado Health Sciences Center. He also one of the founders of Myogen, where he acted as the company’s chief science and medical officer from 1996 through 2006, and as scientific advisor from February 2006 until it was acquired by Gilead Sciences in November 2006 for about $2.5 billion. ARCA started as a private company with initial capital investors that included companies like Atlas Venture, Boulder Ventures, InterWest Partners, Pequot Capital, Skyline Ventures and The Peierls Foundation. So both ARCA and Myogen indicate something similar to the Colorado biotech space. First, the founders have a connection to Colorado, which makes sense. ARCA benefited from many of the experienced people in the area who were associated with Myogen. It doesn’t seem like Cambridge, Massachusetts or the San Francisco Bay Area have much to fear from Colorado. Still, for biotech startups and workers interested in the Rocky Mountain high, there are more than 600 bioscience companies in the state, with about 27,000 people in the industry, which creates more than 122,000 direct and indirect jobs. The average annual wage, according to the CBSA, is $84,000. On average, Colorado research institutions spin out about 20 new bioscience companies each year, and the medical device sector ranks number six in the country. In addition, the State’s Bioscience Discovery Evaluation Grant Program has awarded 220 grants worth more than $27 million, which created 45 new companies. Although not the top in the country, the venture capital investment is sizable, totaling $1.625 billion in the last five years, and ranks fourth in the country for funds raised per worker from the SBIR grant program. It has also been ranked as number seven nationally in mobile digital health care, with approximately 125 companies in that space. Check out the latest Career Insider eNewsletter - November 3, 2016.